A nice young man over at CloudStar asked me to do a taste test. And the perfect size for me. Everything about the product appears to be a healthy choice. I would recommend just based on the ingredients. I am currently testing the "Skin & Coat." "donate to non-profit organizations benefitting animals, women, children, and the environment." I personally think they should donate to non-profits and rescues benefitting animals. 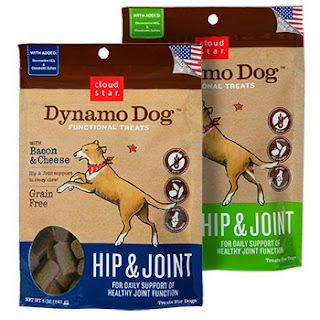 I do thank the nice young man for sending me these Dynamo Dog treats. I will continue to use them daily. They also have a variety of biscuits too! 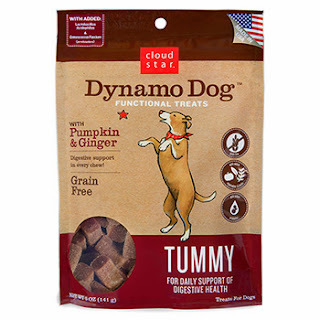 Each treat contains only 0.6 calories! human-grade ingredients in the USA! OUR momma likes that they are so small...just the right size for us! Small and neat just like you Lily. *om nom nom* All those yummy treats are making me hungry! those are some yummy sounding treats and hopefully help in other ways too. My kitty boy *adores* their grain free chicken and tuna Buddy Biscuits treats. He's not tried the turkey & cheddar flavor yet but I'll be sure to get him a pack when I locate that flavor. Oh man, my drool just hit the floor. Yum yum yum. Wow that was super nice of them! Pee Es - Please visit our POTP page. We added Rory cuz he had a bad emergency. Hi Lily, Thank you for reviewing these products; we just heard from Chewy about doing a review and Hunter is very excited as he so prefers treats to food/kibble, so when we can find some that are healthy I don't worry. Those all look very yummy. we like bitesize too! That tongue say they are lip smackin good. They look yummy and I like that they are bitesize! We love treats and will keep an eye open for them. Those were some Nommy reviews Lily, thanks!! So happy you will be joining us in the foodables catering for the NYE Bash! 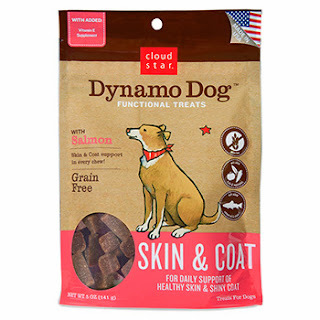 The only thing better than treats are treats that give back to help! Thanks for telling us all about it--you did good!! I may do a post about cat treats after the holiday. Hope this is right I can't see what I wrote? It is nice when they think of us smaller dogs, usually everything is too big for our mouths. (That doesn't stop us trying to eat them though, he he). Gosh Lily - what an abundance of yummy treaties you got! Lucky girl! Yum, those look tasty and perfect size too! It's always fun to try out new treats, Lily! Lucky you!